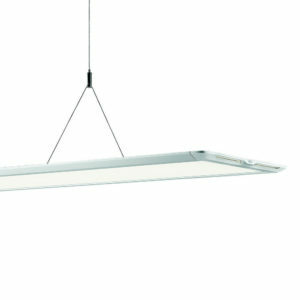 Ledge Surface offers first-class light quality, excellent efficiency, simple installation and a very low build height. 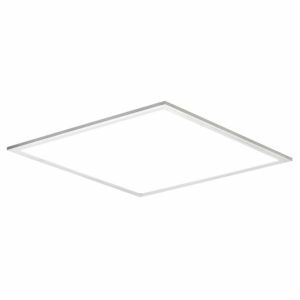 Ledge Surface is a high-end luminaire that provides the best in light quality, efficiency and design. It is developed to be quickly and easily installed, with a separate mounting plate and innovative solutions. The latest in Edge-lit technology and optics ensure that Ledge Surface delivers even light with very little glare, and contributes to increased well-being and productivity. 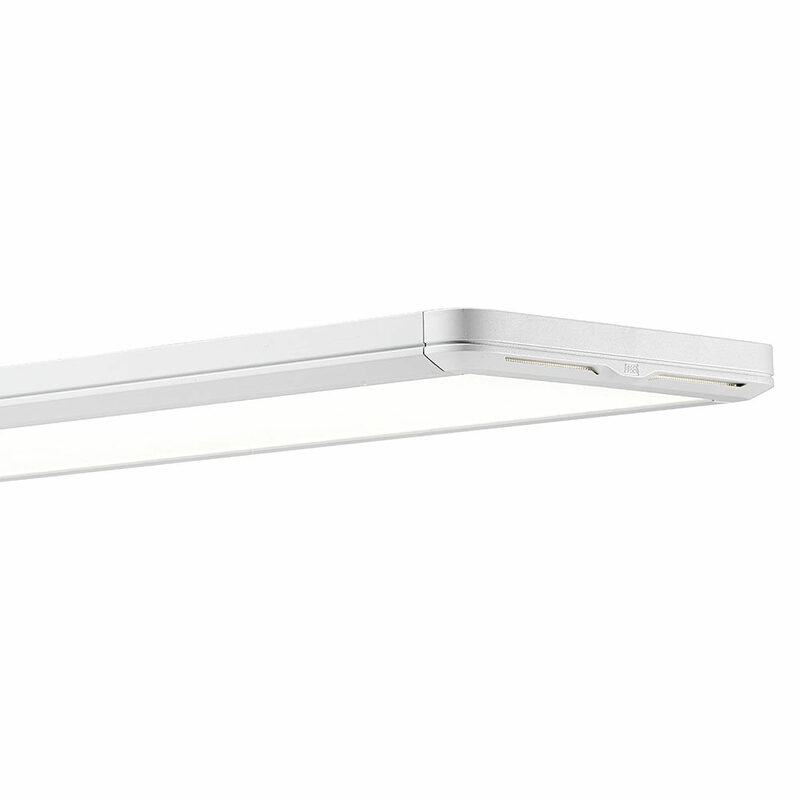 The luminaire has a timeless design and is only 31 mm. in height. The side of fitting in extruded aluminum, end caps in a composite material. 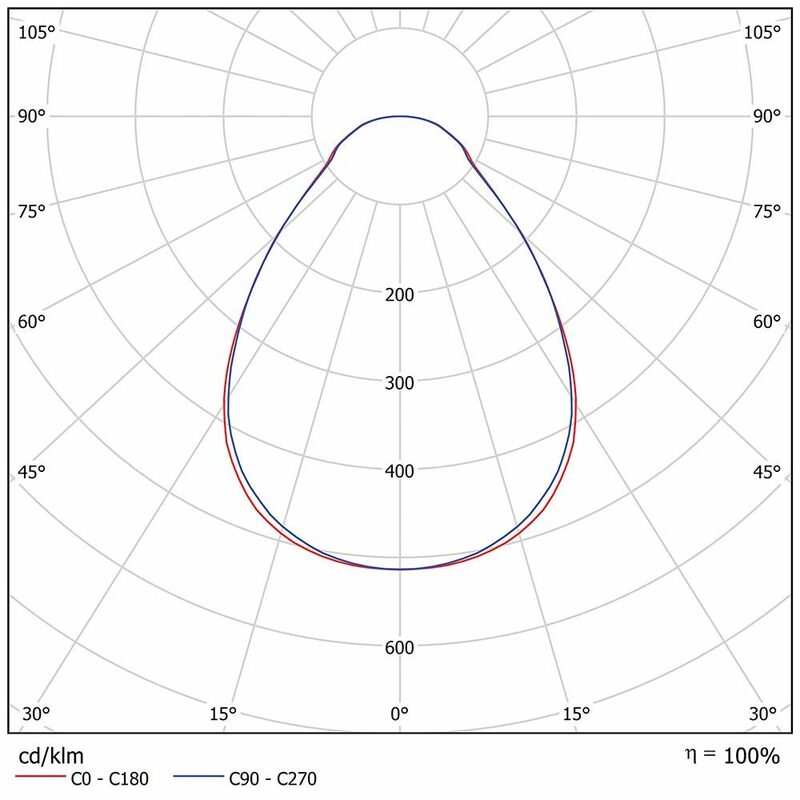 Microprismatic optics, clear (PS). The body is powder painted structure paint, white RAL 9016. 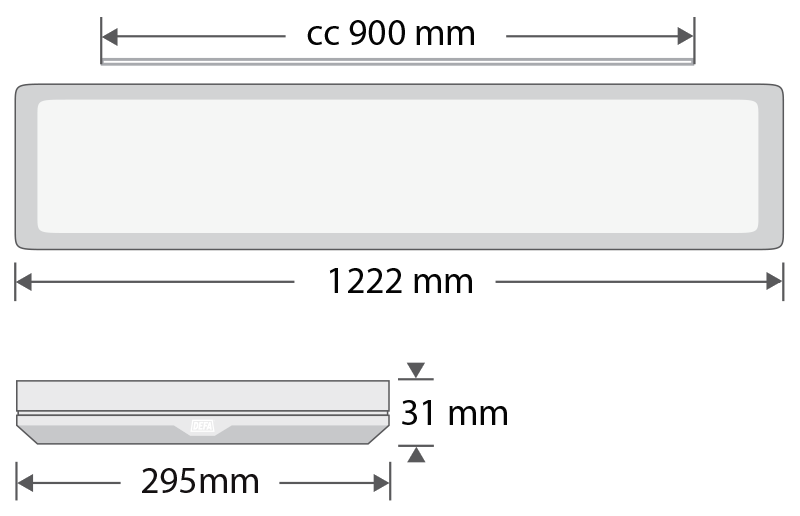 All technical components are fixed on the mounting plate, with an electronic driver for the On/Off version or a digital DALI driver for the dimmable version. The separate mounting plate makes Ledge Suspended very easy to install. The fitting is hinged on to the mounting plate and connected with a plug-in connector. The mounting is completed with a click-in mechanism that does not require tools. The fitting is supplied either as On/Off with a quick connector, 5-pole terminal block, or with DALI and 7-pole terminal block.